Last week we discussed the damaging nature of emotional abuse, as well as the cycle that abuse follows. We emphasized the importance of understanding the cycle of abuse in recognizing and combating domestic violence, but how can we tell when someone is being abused, and what do we do? First off, the individual being abused will often undergo major changes in how they act – even if they were confident before, they will likely lose this confidence, their self-esteem dropping rapidly as the abuser undermines their self-worth. The individual will be afraid of their partner and may alter what they say or how they say it when their abuser is around, restricting their speech to avoid angering them. They may agree with whatever their abuser says or be hesitant to say anything negative about them. They may suddenly alter or cancel plans due to the abuser’s demands, and may not be able to see friends or family often. Their resources may be limited as well, such as their access to money or transportation. So if we see these signs, what do we do? In helping a victim of abuse, we have to be careful with our approach – attracting the attention of the abuser could result in the victim’s situation worsening. The best approach is to find an opportunity to talk to the victim in private and express your concern. Tell them about what you’ve noticed and let them know that they have your support. It’s important for the victim to know that they have someone they can go to, as the abuser wants them to be entirely dependent upon them. However, the victim may not be receptive to your approach – abusers are highly manipulative, and victims may often take their side. Be understanding of the victim’s feelings and respect the fact that the decision to get help is up to them. Victims of domestic violence are given very little autonomy by their abuser, and what independence they do have is vital. 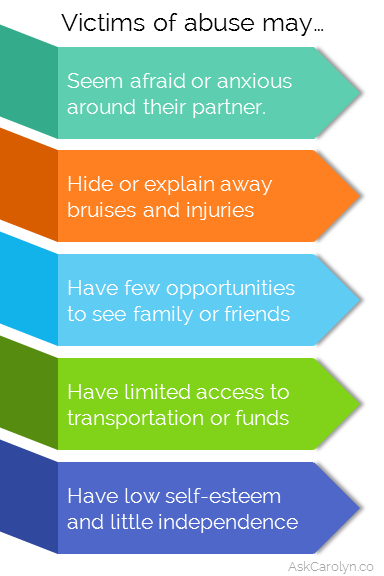 If the victim does recognize their abuse, provide them with resources that can provide information and help (see below). In doing so, try to be inconspicuous, as you don’t want to give the abuser any reason to feel threatened. You can do this by writing the information on a small scrap of paper that they can keep in their pocket. The most important thing you can do is listen to the victim. Their abuser has isolated them and undermined their sense of self-worth. It is likely that the victim doubts their emotions and feels helpless towards the abuse. Listening to the victim and validating them can help empower the victim to take their first steps towards leaving their abuser. 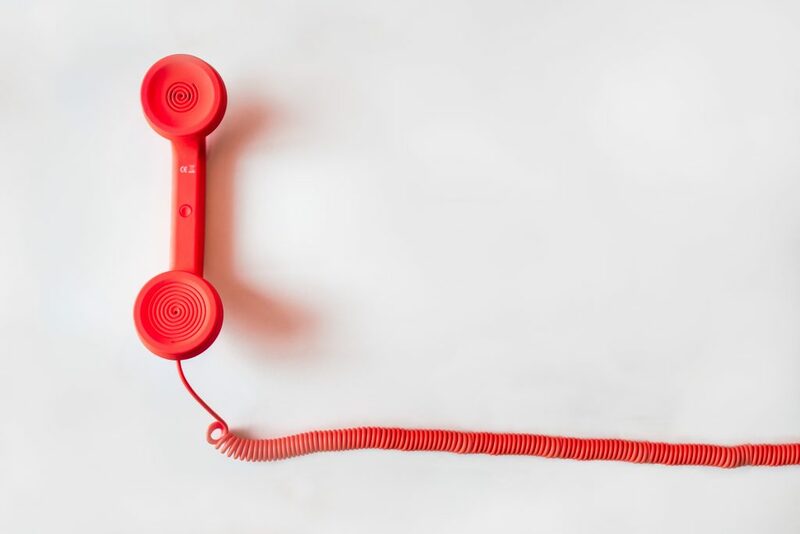 While it’s not advisable to involve authorities in most cases (due to the risk of exacerbating the abuse), don’t be afraid to call for help if you believe that the victim is in immediate danger. If you overhear physical violence that you believe could escalate or result in severe injury, it’s time to call the police.